The decision to sack a manager is always one of the hardest for a football club board. How many matches without a win do we give him (and regrettably it is always ‘him’) before the axe falls? What will the fans’ and players’ reactions be? Who do we get to replace him in the short and long term? How much is it going to cost to pay him and his coaching team off? I am sure all of those thoughts will have gone through the minds of directors at Carrow Road in recent days. Ultimately, it has to be the board’s call or that of the owner, depending upon the club’s individual circumstances. And for that, I have no criticism of the Norwich City directors in their decision to call it a day on the management of Chris Hughton. As their statement said “The decision has been taken to give the club the maximum chance of survival.”, an understandable position given Norwich’s standing in the Premiership. I know that around the UK and beyond we have some first class black coaches, many of them former top flight footballers, who would make great club managers. Let’s hope that as chairmen start to look around the talent pool at the end of the season to decide who could bring success to their side in 2014-15, they are willing to embrace diversity in the dug-out as we have embraced it on the pitch. 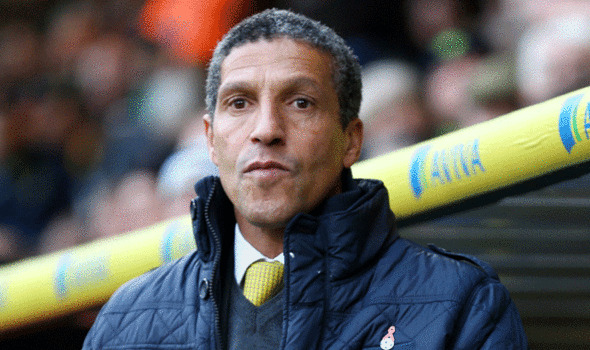 We need Chris Hughton and Chris Powell back in management roles and with them we need to see an ever more diverse group of leaders in our national game. And thinking of hope, I’m keeping my fingers’ crossed that a chairman somewhere will be offering their manager’s job to the fabulous Hope Powell. I certainly would were I in charge in a club boardroom. Edward Lord is a member of the Football Association’s Inclusion Advisory Board and chair of the London FA’s Inclusion Advisory Group, writing in a personal capacity.